Today's world is one of apologies, of hurt feelings, and constant, overbearing political correctness. Stanhope is none of these. Crude, the definition of self destructive, pretty much a stumbling mess of a human being. 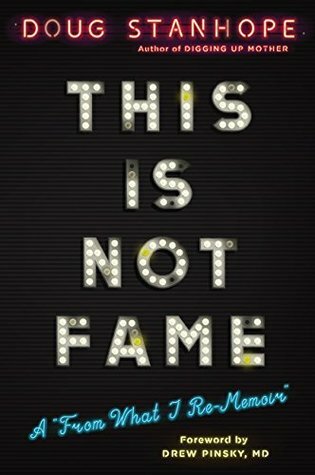 This is Not Fame is a collection of lewd tales that lead you to wonder, "How is this guy still living?" That being said, few people can tell a story like Doug Stanhope. A drunken swirl of chaos, debauchery, and all around UN politically correct as you possibly can get, buried in the dirt...is a true gem of a collection of stories. When the world ends, Stanhope will be glowing in the dark in his kingdom of ash, lighting his smokes off a radioactive cockroach, he will have a great story to tell...eventhough he probably won't remember it. If you like your humor dark and dirty, this is for you.